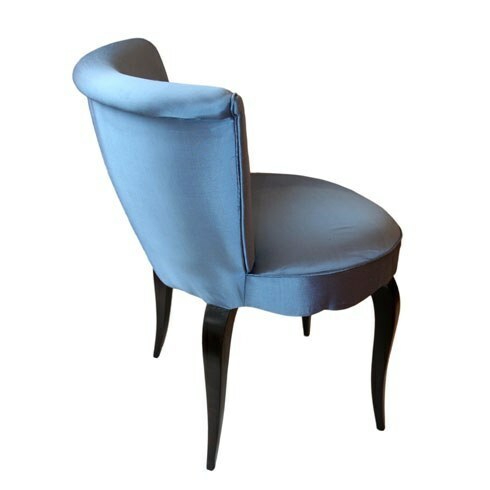 Dressing-table chair by VW Design. 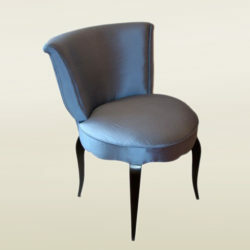 Based on an original vintage French model and upholstered in your choice of fabric (1.5 meters). The sides can be studded as shown in detailed images and the stained-wood legs are available in a variety of shades.